Banff is a resort town and one of Canada’s most popular tourist destinations. located in Alberta’s Rockies along the Trans-Canada Highway, known for its mountainous surroundings and hot springs, it is a destination for outdoor sports and features extensive hiking, biking, scrambling and skiing destinations within the area. 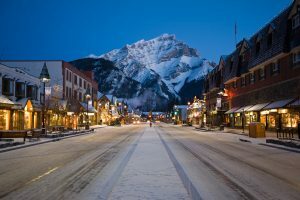 Sunshine Village, Ski Norquay and Lake Louise Mountain Resort are the three nearby ski resorts located within the national park. 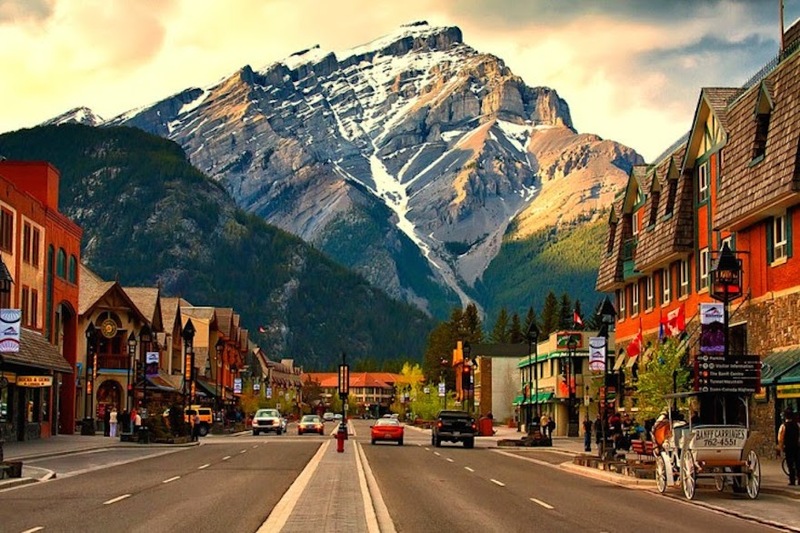 Banff is the community with the second highest elevation in Alberta after Lake Louise. The Banff townsite was developed near the railway station as a service centre for tourists visiting the park. It was administered by the Government of Canada’s national parks system until 1990 when the Town of Banff became the only incorporated municipality within a Canadian national park. – Planning to come to Canada to improve your English skills? Find out more about English Courses in Vancouver!